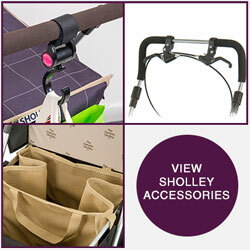 The easy-reach separator bag is a brilliant addition for your Sholley. This innovative design creates the UK’s first foldable double-decker shopping trolley! 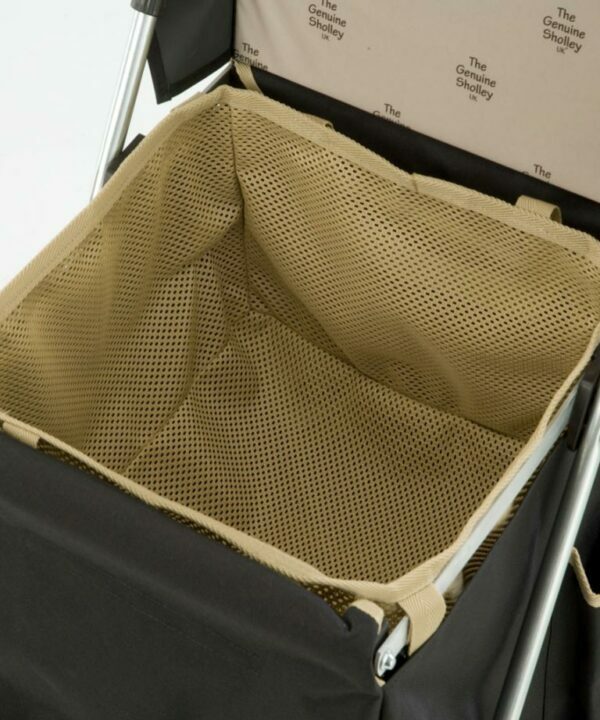 Our easy-reach separator bag gives you a safe compartment for all your squashable& breakable items. Simply clip the easy-reach separator bag into the top of any Sholley. A perfect addition for anyone with a bad back as you can load your shopping within easy-reach! When you do want to get something from the bottom of your trolley – the separator bag simply slides back – even with goods in. 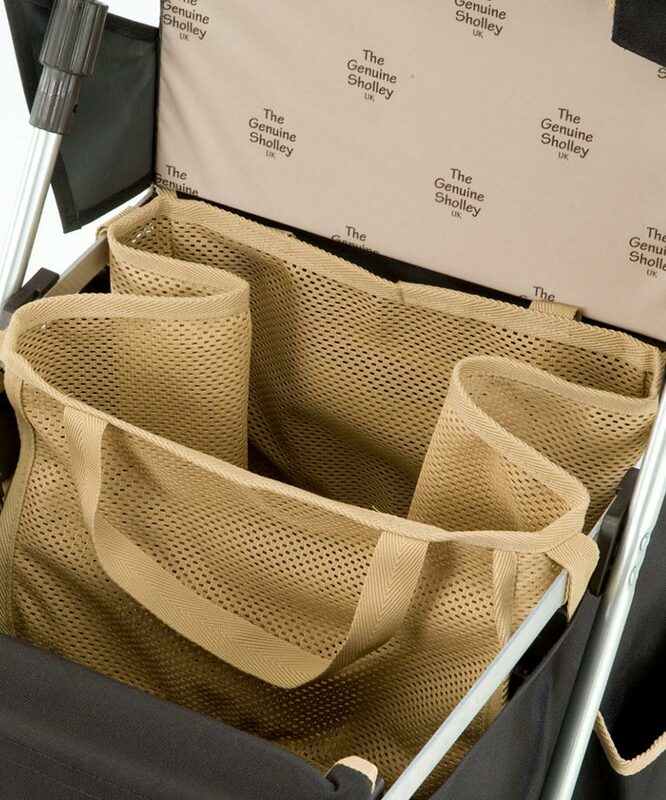 The separator bag can also be removed easily to use as a handy extra shopping bag!